The evolution of network services is closely connected to the understanding and modeling of their corresponding traffic. The obtained conclusions are related to a wide range of applications, like the design of the transfer lines’ capacity, the scalar taxing of customers, the security violations and the spotting of errors and anomalies. Intrusion Detection Systems (IDS) monitor and analyze the events in traffic, to locate indications for potential intrusion and integrity violation attacks, resulting in the violation of trust and availability of information resources. They act in a complimentary mode with the existing security infrastructure, aiming in the early warning of the administrator, offering him details that will let him reach proper decisions and correction actions. 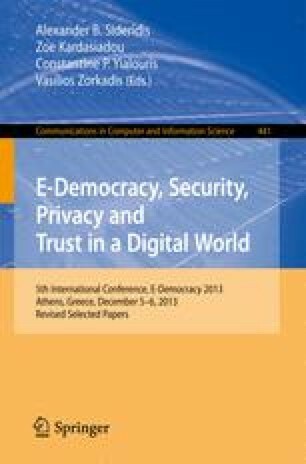 This paper proposes a network-based online system, which uses minimum computational power to analyze only the basic characteristics of network flow, so as to spot the existence and the type of a potential network anomaly. It is a Hybrid Machine Learning Anomaly Detection System (HMLADS), which employs classification performed by Evolving Spiking Neural Networks (eSNN), in order to properly label a Potential Anomaly (PAN) in the net. On the other hand it uses a Multi-Layer Feed Forward (MLFF) ANN to classify the exact type of the intrusion.